Come join us for our fourth year of holding Men's Prayer Retreats! We have the privilege of hosting this autumns retreat at the Barkman Family Campground in beautiful McConnelsville Ohio. 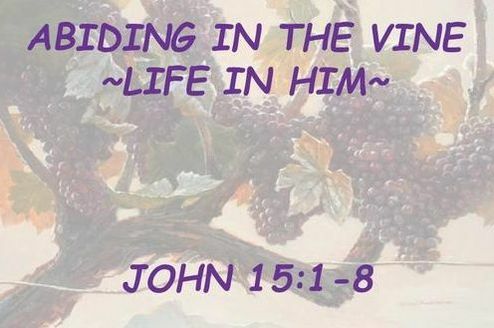 This retreats theme is Abiding in the Vine ~Life in Him~. We'll be hearing from Matt Deputy of Greenwood, Delaware; and Leaders Alive President Lael Barkman of Harlan, Indiana. We anticipate greatly what God will speak through these men! We greatly anticipate what God is going to do there!